Are you a wallpaper fan? What's your favorite print? Love 'em all! I would wallpaper every room in my house if the man of the house would allow. 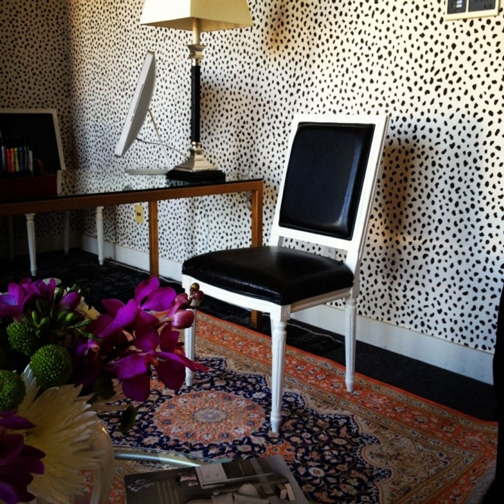 Lovin those spots and the feline paper, and of course, always a fan of Anna Spiro! Number 5 is to die for! Love them all. 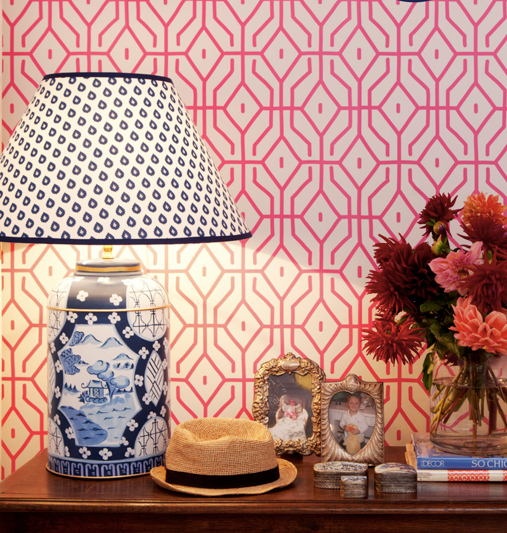 You wouldn't think that a zebra print wallpaper can be classy, but it actually works. The room looks very sophisticated and luxe. I absolutely love these! 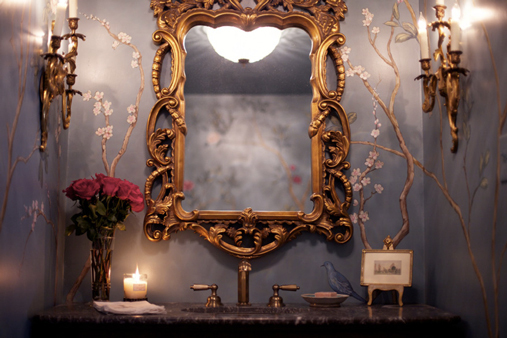 Such a fun, but classy way to spruce up a room! Anna's paper will forever be on my wish list! So in love with all of these! Agreed! Growing up I had big purple and blue hydrangeas wallpaper in my bathroom. I loved it! I love 'em all - I'm such a baby I probably would only be that bold in the bathroom or office! 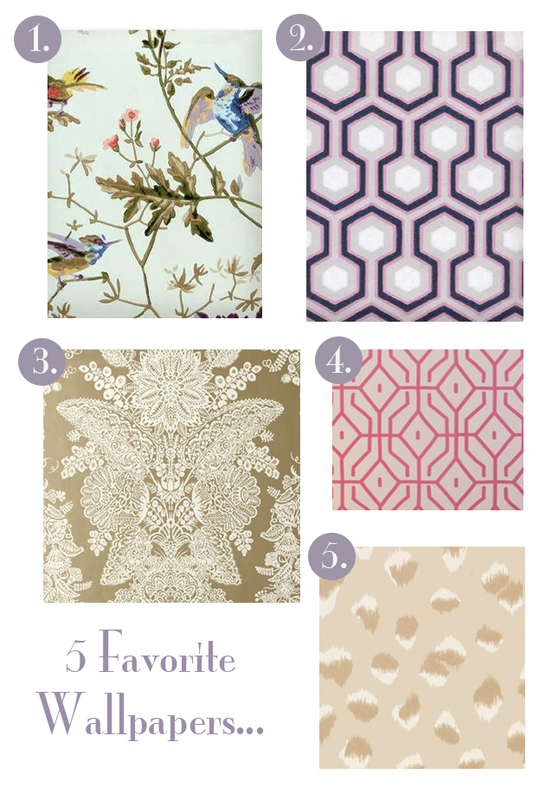 I have been in a total wallpaper obsession lately! 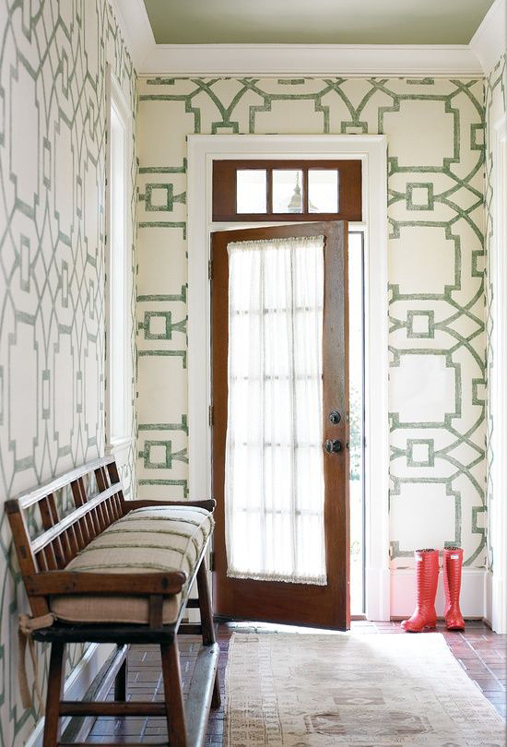 I am really loving the green + white one in the entry way!! Its so clean and fresh looking! !